Me: What is responsible for the lack of a cohesive Galician culture in America? Galician Ghosts: We don’t know, what? Me: Why were Galician immigrants referred to as “Hunkies” or “Bohunks” when they arrived in America. Ghostly Grandfathers: We don’t know, why? Me: Because the term “slave” had already been taken. I should clarify. 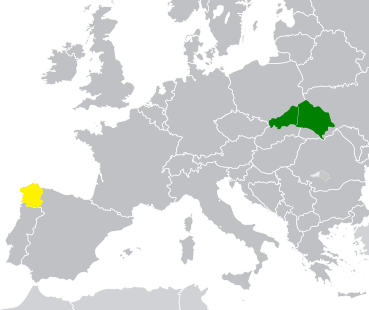 Galicians were and are neither Bohunks, aka Bohemians, nor Hunkies, aka Hungarians. However, when Galicians came to America, other ethnic groups found it easier to toss them into the salad of Slavic immigrants than to recognize them as a separate side dish. What exactly is a Galician? As my father once pointed out, the region of Galicia, once the Kingdom of Galicia-Lodomeria, does show up on a world map. It’s in Eastern Europe: at one time part of the Austrian-Hungarian Empire, at one time part of Poland, currently part of the Ukraine. My research indicates that the region holds a mixture not only of Poles and Ukrainians but also of Slovaks, Hungarians, Germans, and Jews. Mom and Dad and their parents had no trouble embracing our family’s probable Polish, Ukrainian, and Slovak rootedness, but they maintained a determined dislike for Germans, Hungarians, and Jews. Me: Why do the Galicians hate the Germans? Mom and Dad: Who doesn’t hate the Germans? It’s a human right. Me: Name the various shells of a Galician nesting doll? Me: On the surface a former citizen of the Austrian-Hungarian Empire, beneath this a Pole, then a Ukrainian, perhaps a Slovak, but ultimately only a loathsome Jew hater. The Galician Americans of Eastern Europe are not to be confused with the Galician Americans of Western Europe. Other names for the Galician peoples include Carpatho-Rusyns or Ruthenians, but when I’ve mentioned these terms to my relatives, they respond with blank expressions. I fix on Galician American because I would like to be part of an identifiable immigrant culture: much the way other Americans call themselves Germans, Italians, English, Irish, Spanish, or French. Many U.S. citizens enjoy wearing T-shirts that declare allegiance to one of these European nations, and I’ve always wanted to do the same. In college, I had a friend whose multi-generational Italian-American family came from the Tennessee mountains, but he wore his “ITALIA” sweatshirt with pride until it disintegrated. I was always envious of that shirt and the pride it represented. 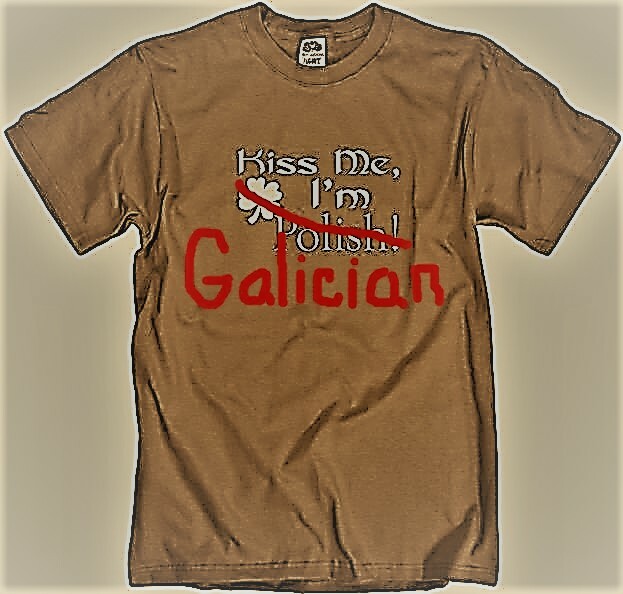 I’d like to claim ownership of a “GALICIA” T-shirt, but I have never found a pre-made one in a store or online. I have never come across a Galician-American appreciation day or social club. In the Monumental City where I now live, our streets are bordered by and centered on monuments and statues honoring famous Irish, Poles, Germans, Lithuanians, and Jews. There are a few pieces of Galician-American art in our municipal art gallery, but no monument honoring a Galician of any kind. It appears that Galicians have never proven themselves notable in any U.S. conflicts, worker strikes, or rock bands. I am unsure as to whether Galician Americans who identify as such could populate the gutter-to-gutter distance of a two-lane road, let alone a block of parade route. Me: Why did so many Galician immigrants settle in the coal mining regions of Western Pennsylvania? Me: Because only there could they enjoy the same poverty, isolation, and suffering they’d experienced in the old country. Unlike Americans of Irish, Italian, or other European extraction, I have noticed one distinction about the Galician Americans that I grew up around. They never seemed much concerned about proclaiming an ethnic identity. They were more fixated on their religion. 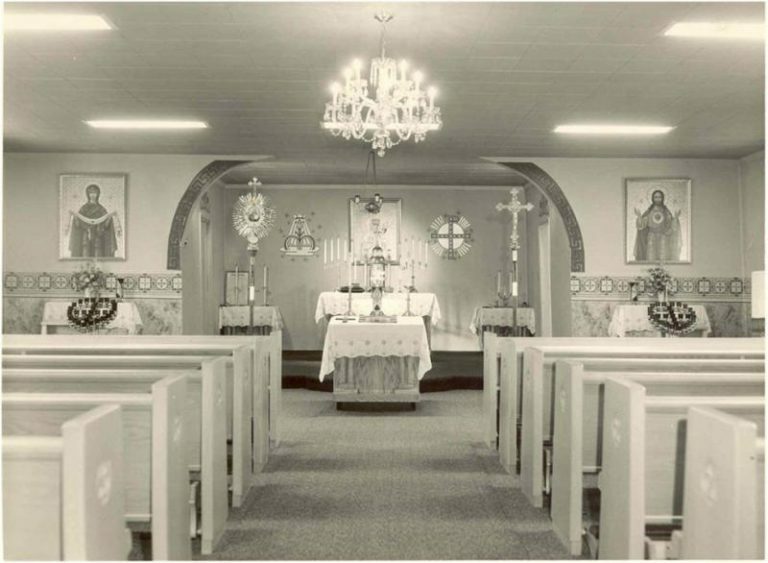 Life in our coal mining town revolved primarily around the Greek Catholic church and the Greek Catholic mass, a mass celebrated in a language called Church Slavonic. I always found this curious. What did Greece have to do with a people from Slavic Europe? Church interior where I breathed the strongest incense of my youth. In my research, I discovered that the Greek Catholic faith practiced by Slavs traces its origins to the Great Schism of 1054 when the Eastern Byzantine church split from the Roman Catholic, and many Slavs sided with the Popeless east. But east-west Christian history doesn’t end there. In 1596, portions of the Eastern Orthodox church reunited with the Papal tradition, demonstrating fealty to the Pontiff but maintaining their beloved icons and Byzantine traditions. As such, Galicians and other Slavs practicing Greek Catholicism became an amalgam of Eastern and Western Christianity. Church exterior surrounded by fresh air. I close my eyes and transport myself to the Greek Catholic church that I attended as a boy. Mass is over, and I wait at the front of the church for my parents to exit. Rather than fidget, I corner the usher, Marek Breznik. Marek, blue eyes behind thick lenses and a head of shellacked white hair, wears his trademark plaid suit jacket, a paisley tie. His burgundy pants have perfectly ironed creases running their length, and I believe him to be a man who appreciates humor. Me: Marek, when do you know the Greek Catholic mass is over? Me: When you wake up. 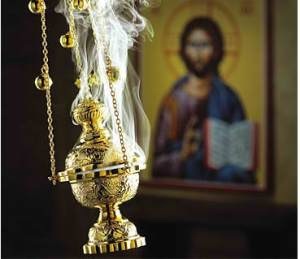 Marek: Did you hear about the incense accident during mass? I smile even though I don’t know what a thurible is, and Marek pulls one cuff of his jacket over the cuff of his brilliant yellow shirt. We move to the church basement, a makeshift reception hall. Galician Greek Catholics are always looking for a reason to celebrate and dig into their ethnic cuisine, and I figure this must be one of those occasions. A collection of old women—Bubbas—bring out the halupki, pierogi, and kolachi. The Iron City and Genesee flows, and I lean into Marek to share another joke. Me: What did the WASP say when the first Galician immigrants arrived in America? Me: Finally, a European ethnic group that can cook a potato. Another man, Petro Lemko joins us. He has bushy white eyebrows and his rough carpenter’s hands itch to do some knee-slapping. Me: Why do Galicians enjoy decorating “pysanky,” the traditional Easter Egg? Me: Because making money wouldn’t take as long and might lead to a better life. Marek lowers his voice, his humor transitioning to blue. Marek: What do you call two Galicians on a camping trip? Marek: Pigs in a blanket. Because these men are not alive today, I generally tell such jokes to their memories in quiet, meditative moments. But as I am also one who cannot keep my chuckle muffled or my mouth shut, I have, on occasion, spoken some Galician jokes aloud, trying them out on my wife, a woman who can claim unassailable Irish, Norwegian, and French bloodlines. Me: So Honey, how do you move the Polish borders? Me: With the Russian army. Me: And how do you move the Galician boarders? Wife: With the Polish army? Me: No. Ask the Galicians to pay their rent. My wife is about to turn the radio on to A Prairie Home Companion. Me: Wait! Wait! Why does Sigmund Freud begin his book “Jokes in Relation to the Unconscious” with a Galician joke? Me: Because he couldn’t find a funny Irish one. 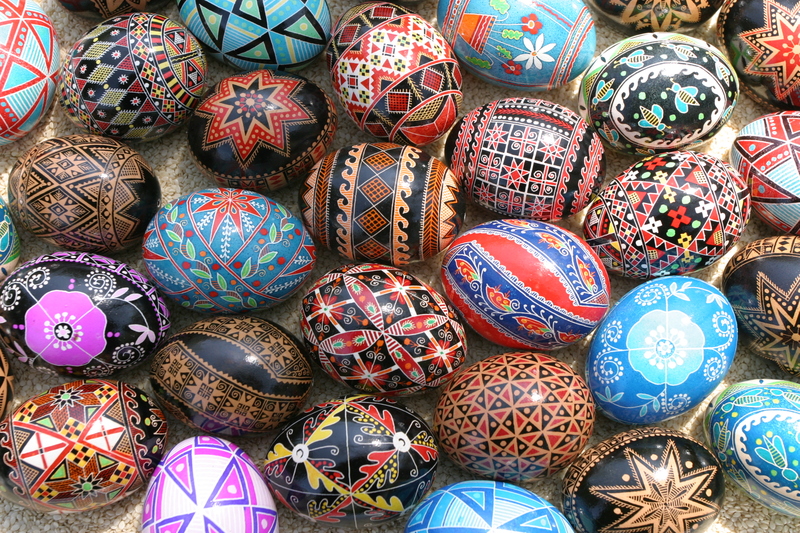 Nothing illustrates the tedious complexity and beauty of Galician culture like the traditional Easter egg art form, Pysanka. She might grin, but I doubt she appreciates where I’m coming from. My real test occurs when I share my Galician jokes with my daughters. I waited many years before doing so, but eventually I had to. Not being much of a cook, telling them such jokes was the easiest way I knew to clue them in on their Galician heritage. Me: Girls, if Cinderella were Galician, where would she live? Me: Girls, what do you call a Galician who catches fire? My girls want me to admit to being a Bohunk or a Hunkie, but I resist. Why is it that so many other Americans can market a cohesive ethnic pride, but my ancestors seem to have been incapable of turning ours to either pride or profit? For instance, why no fast-food Pierogi or Halupki restaurant chains? Moreover, why are my kids so damn argumentative. These U.S. public schools are doing too good a job. I went to the same schools and learned the same things; so fundamentally, I cannot disagree. History is messy. Nations are political constructs where one tribe often proclaims hegemony, forces other tribes to follow along, then rebrands an entire group under a new, preferred title. This reality is more frightening when one considers how the earliest immigrants to the Americas did not leave this practice in Europe. They were the first arrivals, so they took control, engaging in new forms of hegemony and social engineering. Consider African-American slavery. Consider Indigenous-American genocide. Consider Japanese-American internment camps. Still, I would like to draw a distinction. I am part of a desperate people, a people who came to the Americas and lived in poverty, drank too much, pulled each other’s hair like a cast of Chekhov characters, showed themselves frequently to be bitter anti-Semites and frightened segregationists, felt they were born not to happiness but to suffering, and looked for their status and salvation at church. My jokes attempt to trim away some of these rough edges and make my ancestors easier to live with. The jokes may be unwelcome to peoples who have suffered worse. They may be unwelcome to my wife and daughters. They certainly can’t compete with the jokes that Jewish Borscht Belt comedians brought to television and told to my delight when I was growing up. But until I become a ghost, or until I become a cook of traditional Galician cuisine, they are most necessary to me. 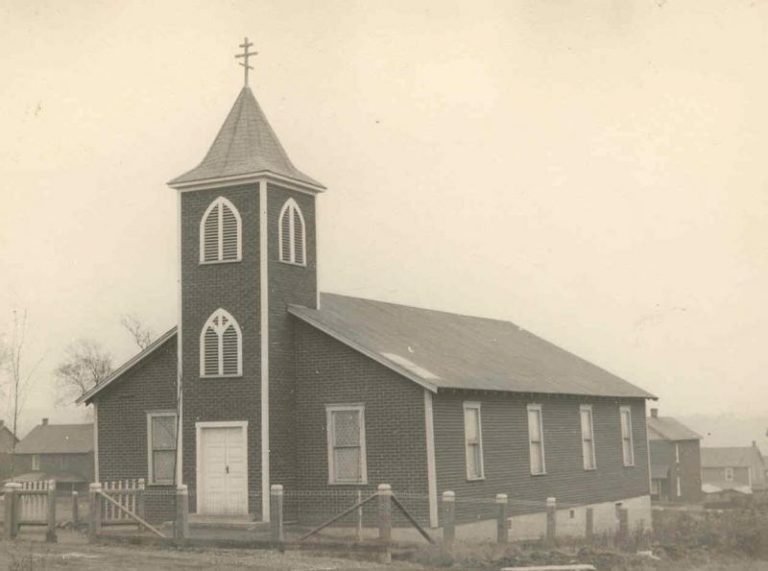 This entry was posted in Food and Drink, Satire and tagged Celtic, Church Slovanic, Galicia, Galician, Greek Catholic, halupki, identity, pierogi, Revloc, thurible, Ukrainian, Western Pennsylvania. Bookmark the permalink.